Recollecting our recent Mt. 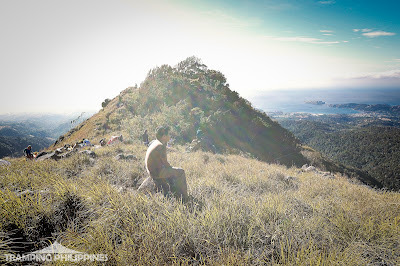 Tapulao dayhike experience, this Tarak Ridge adventure became another testing ground for applying some of the wisdom we learned. 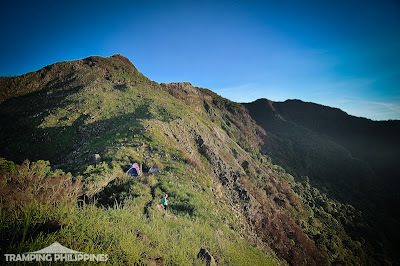 We are currently on the planning stage of a dayhike traverse on one of the most famous mountains of the Cordilleras thus another training climb would obviously be of much needed help. We were destined to climb with a fellow travel blogger, Ivan Cultura, the kid author of the blog, Batang Lakwatsero, who was on the verge of climbing his 4th straight mountain in 4 weeks (Currently has climbed 14 summits in 14 weeks under his belt! correct me if I'm wrong Ivan). Being suddenly hit by the climbing bug, he was the first person in our mind when we arranged this 1-day trek. We arrived at Bataan at an early time of 04:00 AM. We registered at the outpost and had a sumptuous breakfast at a nearby eatery beside the jump-off. After an hour and a half, we confidently started the hike. Having climbed this mountain many times in the past, I already have an almost accurate memory of the trail. Agnes would usually ask the distance from a certain checkpoint and I could give an estimated time of arrival, but this dayhike was somewhat different. Instead of the 30-minute walk from the highway to Aling Kurding’s house, we only did it in 20 minutes. 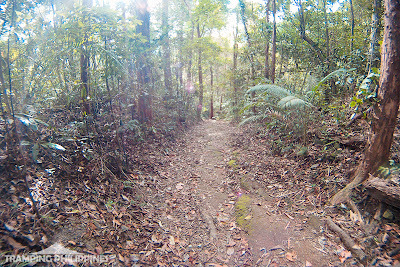 We were somewhat faster than before, yet we really did not try to hike that hard. We were so busy exchanging stories that we unexpectedly bumped into the old lady’s house without even noticing the time. It may be due to the light packs we were carrying but definitely, having a good conversation during the trek did make time fly that fast. We skipped a breather at Aling Kurding’s and decided to continue with the trek. The pace we were having was a bit relaxed that I thought we would reach the Ridge a little later than expected but surprisingly, we again arrived at the first view point faster than usual. We again agreed to continue with the hike instead of having a long break as our bodies were still capable of climbing the uphill path. 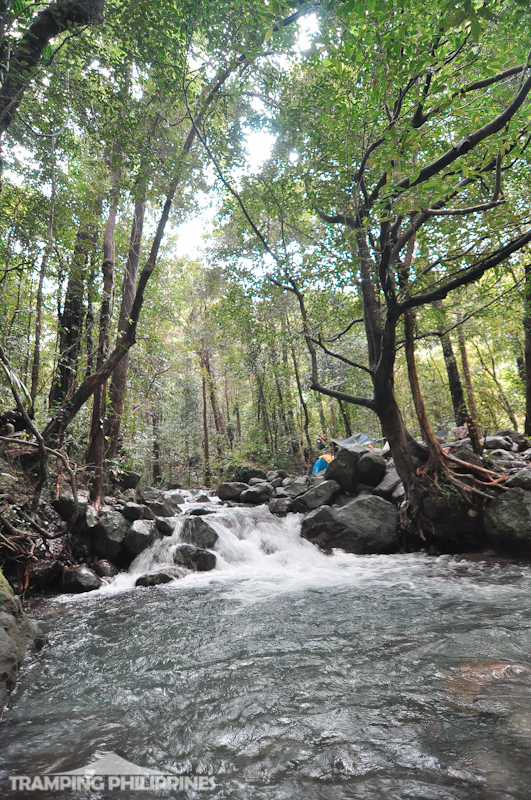 After 2 hours of hiking, we finally reached the clear waters of Papaya River. We stayed at the river for 10 minutes. 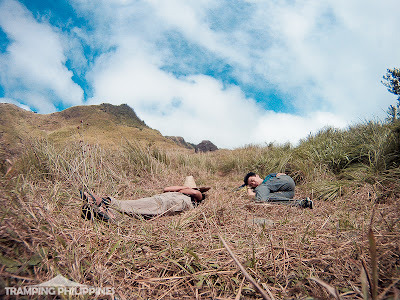 I had an estimated 4.5-hour trek time to reach the ridge to give Ivan some little time to have brief rests but surprisingly, he solidly endured the pace: in my opinion, there was never an instance that he really needed one. He was becoming a strengthened mountaineer in just a month of climbing. 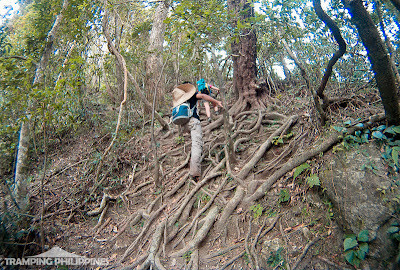 The hike up the ridge had the usual scrambling and root-clinging. 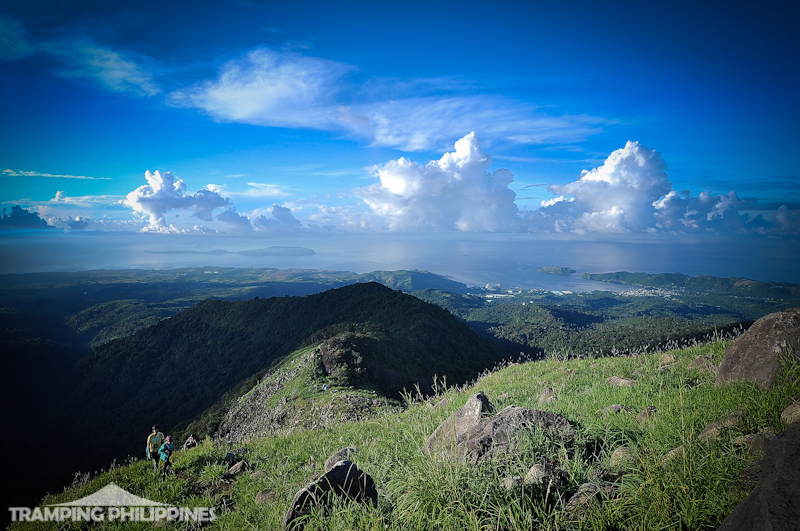 It was a welcome treat from the never-ending uphill walk that Agnes and I did on our Mt. 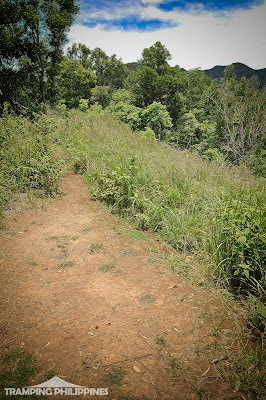 Tapulao dayhike. As I’ve attested many times before, I would always pick a 70 to 90-degree steep assault over a 30-degree gradual ascent any day. Step by step, we inched closer and closer to the ridge. 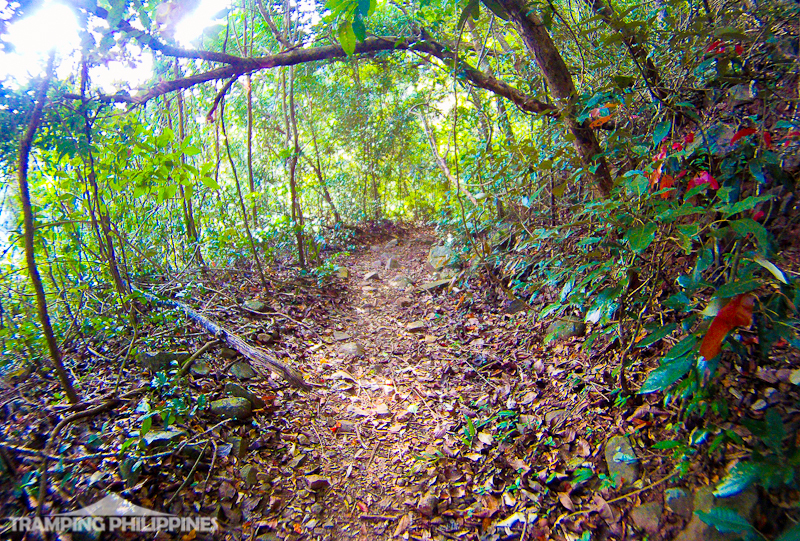 Knowing the path to the campsite, I anticipated a magical sensation as the canopy of trees covering the trail would suddenly cease, giving way to the majestic views of Bataan. This clearing would signal that we would only be minutes away from touching the wind-battered lands of the ridge-campsite. Sure enough, 10 minutes of scrambling through its rock-laden path gave us one of the best views in the whole of Central Luzon. After 3.5 hours of climbing, we finally reached the campsite and we were welcomed by strong winds gushing from the open sea. We ate lunch, savoured the gusts of wind and had a long nurturing nap. Sadly, the blowing wind gradually pushed us to the brink of hypothermia making us transfer to the sun-scorched open fields of the ridge. It was much preferable to be burned by the sun’s heat than be frozen to death by the gale. We had a good hour of sleeping atop the piles of dried up grass. 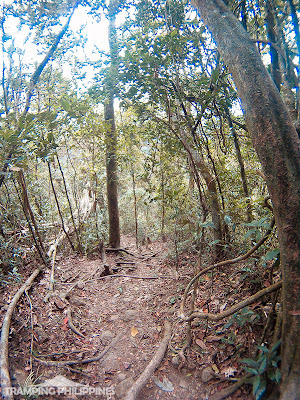 At Exactly 11:11 AM, we started the trek back to Papaya River. Agnes, having injured her right thigh, decided to make our pace much slower than usual. After an hour of downhill trek, we reached the river-campsite. Arriving at an early time of 12:12 PM, we were 2 hours early compared to my planned time of arrival giving us reason to stay at Papaya a little longer than our usual breaks. After 30 minutes of respite, we continued with our sojourn. At 03:00 PM in the afternoon, we were back at the jump-off, happy for Ivan for having finished his first major climb. Finally, he had experienced one of the most famous 2-day climbs in Central Luzon in a note-worthy 1-day hike. It’s actually nice that we are finally done with this certain trek. We initially planned this to succeed our Mt. 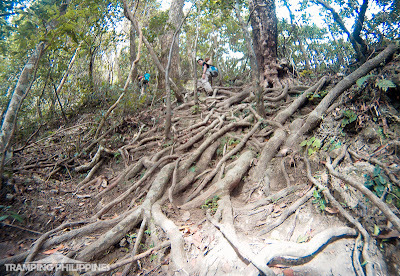 Natib dayhike last year but the severe headache I experienced made the climb impossible. 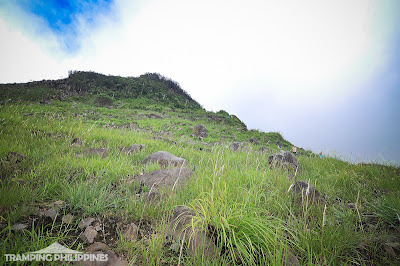 Maybe, the double-dayhike would be a nice climb this year but a certain mountain situated at the Cordilleras would still be first in the list. That would-be dayhike traverse would make all these other 1-day climbs seem like a walk in the park. Intimidating as it can be, it’s another challenge our group is willing to take. You could also board a Balanga bound bus from the liners I mentioned. From Balanga, board a mini-bus bound for Mariveles. Drop at the Baranggay hall of Alas-asin. From The Baranggay hall, the jump-off entrance is just a 100-meter walk. *Other photos used in this article are of past climbs up Tarak Ridge. Some were taken at the Tarak Peak and some at El Saco Peak. 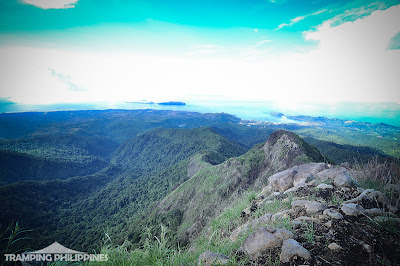 favorite kong part yung maraming ugat.. first time kong nakakita ng ganun.. ang saya din ng climb na to, dabest yung panginginig natin sa ridge..
babalik pa ako dito para sa peaks. ok pa din mgcamp dito para matry mo din at maexplore ung mga peaks ng mas matagal.. ganda din kasi ng view dun. me times nga na papaisip kami kung sa papaya na lang kami mgstay kasi ang sarap maligo dun. 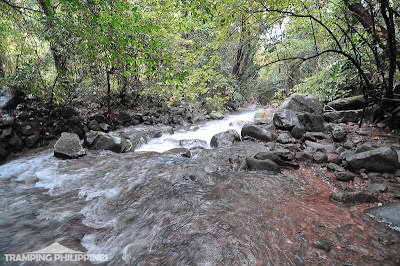 at malinis lagi tas super lamig pa ng tubig! hehe. nice climb! 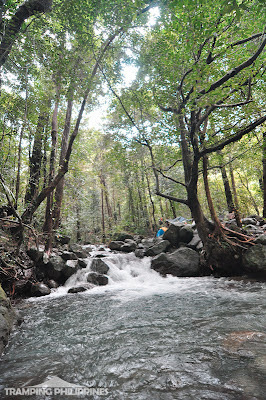 may unfinished business ako jan sa Papaya River, ang plano kong 6 feet tall na stone stacking... epic fail yung last time ko eh. grabe 6 feet. hehe. cge hintayin namin yun! hehe. 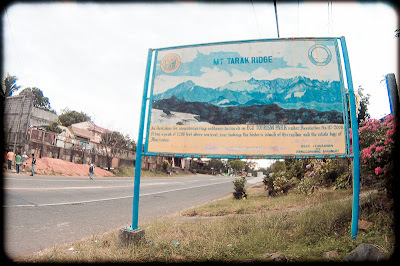 magandang training ground ang Tarak. Sobrang haba ng lakaran dito. yep. madalas din namin ginagawang training climb ito at dito din ung first hike namin na full packs. hehe. very memorable. Hi magnet, your blog is cool! both writings and pics. Hope to see you in trails,i'm a solo hiker kasi. Just say hi sakaling magkita tayo sa trail since wala kang picture at di ka namin marerecognize! hehe. thanks! 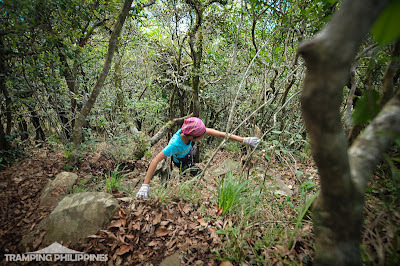 Glad to read your blog, I would like to ask if there are some confusing part going to the ridge, appreciate your help if there's a traditional trail of alternative..
Mabuhay po and More power! 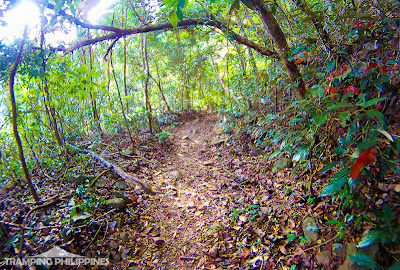 There's a bit confusing part after papaya river going to the ridge, you just need to find the right trail sign. If i remember correctly, facing papaya from the original trail, you need to turn left and after a few steps you need to find a trail sign to the right, to the other side of the river (crossing rocks). 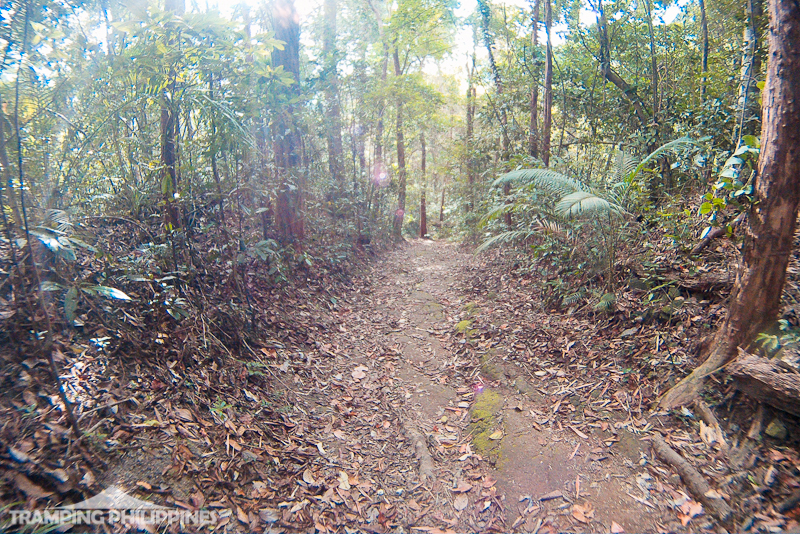 Then there's a trail going upward. Yun!!! well noted Ma'am,, we will visit Tarak on 22.. Salamat po sa abiso!! More Power!! Thanks! Will contact you if we are to climb Tarak again! 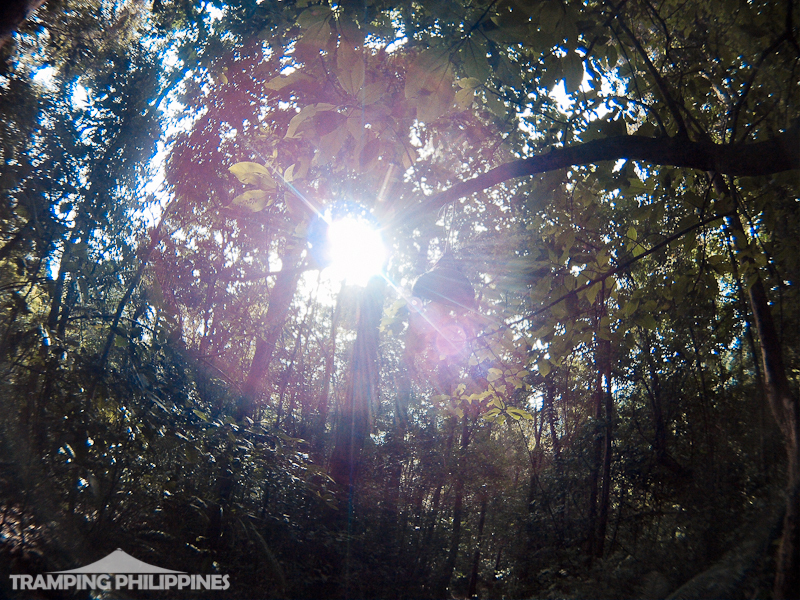 You can also like our FB page, just search for Tramping Philippines. Thanks again.